After claiming victory in a referendum that greatly expands his powers, the President of Turkey Recep Tayyip Erdogan has strongly hinted that the time has come for Turkey to consider reinstating the death penalty. Erdogan used his victory speech on Sunday night to reveal that he will “immediately” discuss bringing back the capital punishment with Prime Minister Binali Yildirim and the leader of the nationalist opposition. “Then we could have another referendum for that,” Erdogan added. 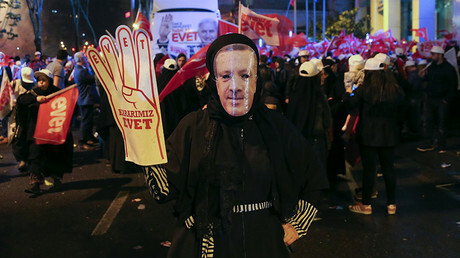 The move could bring an ultimate end to Turkey’s long stalled efforts to join European Union. Accession negotiations have been sluggish for decades and were temporarily suspended in November 2016, with the EU citing Ankara's "disproportionate” crackdown following last year’s failed coup. European Commission chief Jean-Claude Juncker said a return of the death penalty would be a "red line” in Turkey's EU membership bid. "If the death penalty is reintroduced in Turkey, that would lead to the end of negotiations,” he told Germany's Bild newspaper in March. Members of the European Parliament has said that the re-introduction of the capital punishment in Turkey would lead to a formal suspension of the accession process. “The unequivocal rejection of the death penalty is an essential element of the Union acquis,” they said. In the run up to Sunday's vote, Erdogan suggested that Turkey may reevaluate its relations with the EU if the constitutional amendments passed. He said he would have more leverage when negotiating with Brussels, claiming "it will be a different Turkey” then. He also suggested a “Brexit-like” referendum on whether the country should continue to try and join the union. — RT (@RT_com) 16 апреля 2017 г. With most of the ballots counted, over 51 percent of the electorate have voted in favor of handing Erdogan greater powers. The president called the ‘yes’ vote a historic decision by the Turkish people, expressing hope that it will benefit the country. 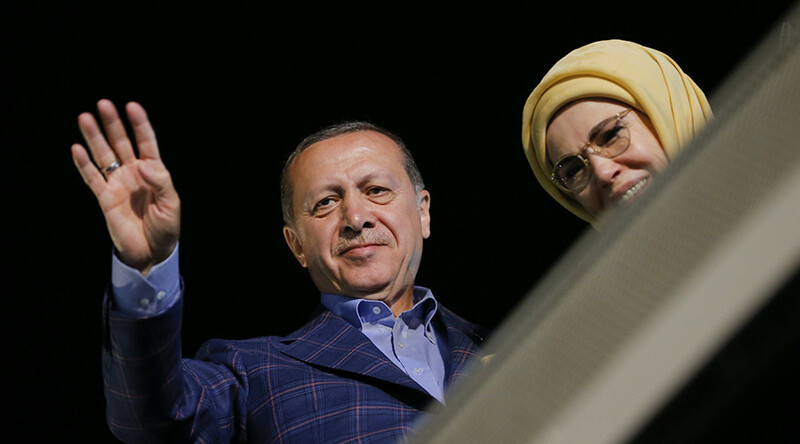 During the victory speech he also said everyone should respect the nation's decision, and added Turkey would “shift gears” in the coming period.